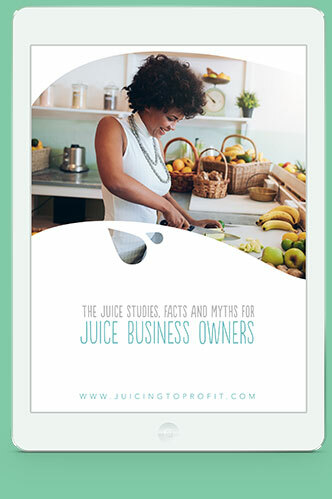 Juicing to Profit’s All-Access Pass is unlimited access for one year to our in-depth classes, a juicing business owners group, inspiring recipes, plus future content that’s in the making. 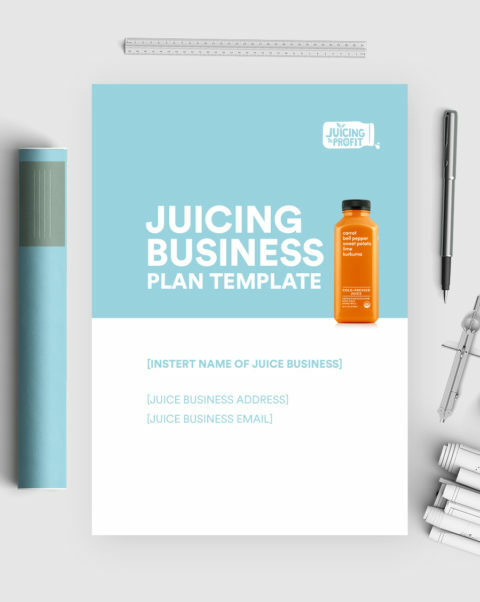 It’s your go-to resource if you own or planning to start a juicing business. In-Depth Classes & Tools Now Available. 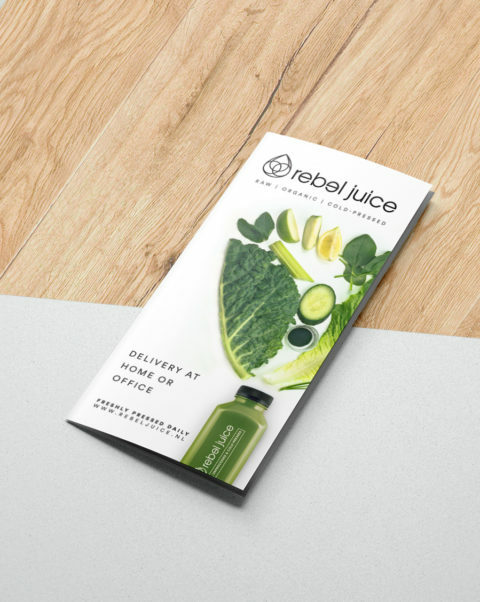 Juicing to Profit Premium is unlimited access to our in-depth classes, a juicing business owners group, inspiring recipes, plus future content that’s in the making. 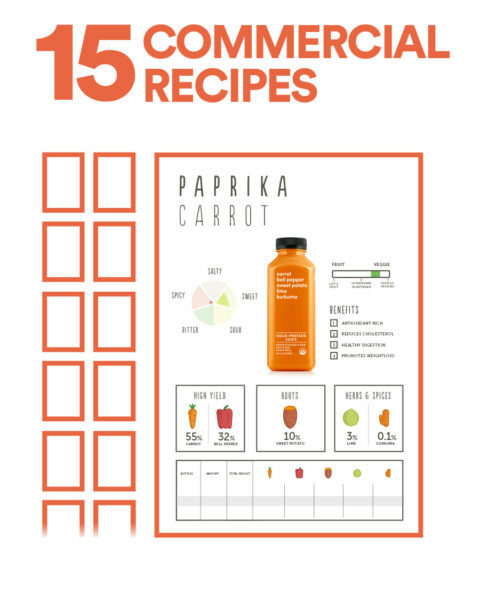 It’s your go-to resource if you own or planning to start a juicing business. We are working on the following classes that will be available for free with an All-Access Pass. Not sure if you’re ready? Check out our free content first. I was very happy to purchase it, just for the reinsurance that it would give me. After we corresponded on Facebook, everything was so much lighter and I wasn’t worried that much afterwords. It meant a lot, you can not imagine how much. It was not just the program to me, it was real help. I felt I had no one to ask for advice and even if there was then they might think there was a conflict of interest and not be willing to share info or their experiences. I’ve already grown and learned so much. The support within the group is amazing, lots of helpful tips and advice and people from all over the world and from all walk of life. The Juicing to Profit program gave me a duplicatable and easy to follow step-by-step system to follow. It takes the guesswork out. The help and support are phenomenal! 🙂 I love being part of this awesome community! It is a great group of like-minded people who are eager to help and offer support. I have a new sense of confidence that yes, I can do this!! I feel very optimistic and excited about starting my business! I have a new sense of confidence that yes, I can do this!! Juicing to Profit gave me a duplicatable and easy to follow step-by-step system. The help and support are phenomenal! It is a great group of like-minded people who are eager to help and offer support. I have a new sense of confidence that yes, I can do this!! Ready To Take a Sip? Making juices is hard work. That’s one of the reasons why so many juicers disappear from kitchen tables and end up in the cupboard. 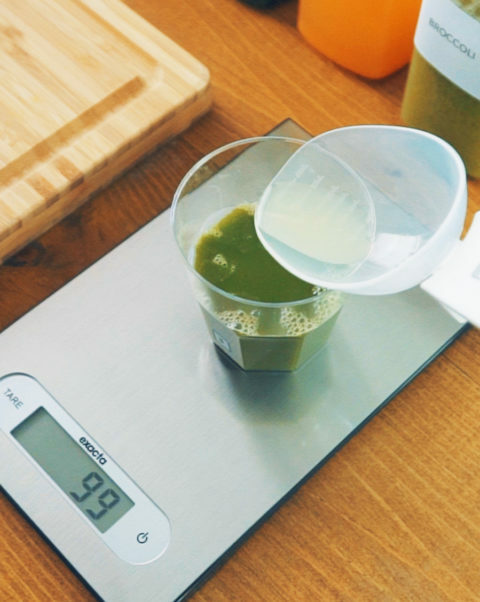 Starting a business around juicing will raise some challenges. But in our experience, when you are dedicated to this program, then it’s highly likely that you will succeed. And, in saying this, we want to remove any risk that is involved for you by making our course completely risk-free. 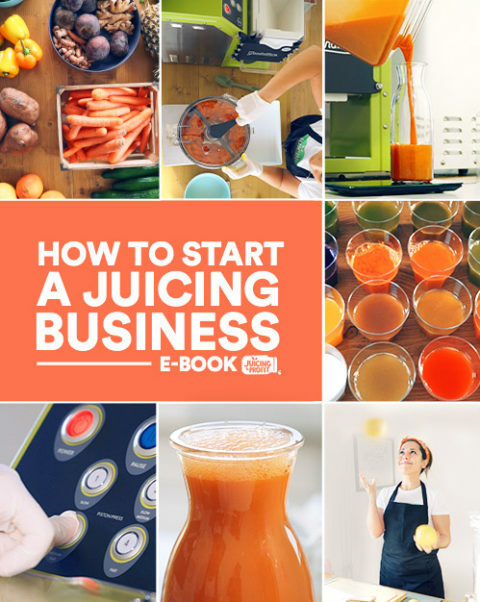 Give “How to Start a Juicing Business” a good, honest try. If it’s not working for you, tell us within 30 days of purchase and we’ll refund your money—no questions asked. Note: Please don’t abuse it. That’s like drinking an entire juice bottle and asking for a refund because you didn’t like it. Hello there! Fa here. Like you, I’m an entrepreneur who knows just how challenging and rewarding it is to build your own business from scratch. 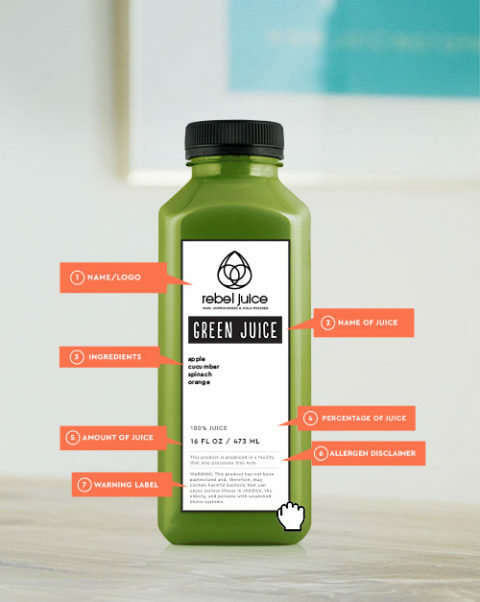 I’m here to take all of the overwhelming information, put it them in a juicer, and then press it into simple, easy-to-follow solutions and strategies so that your juicing business gets the attention it deserves. And you’ll be able to make the impact in the world that you are here to make. Over the years, I’ve done a lot of research, connected with juicing business owners, and—most enjoyably—drank a lot of juices! So, I’m ready! Let’s get started and make the world a healthier place, one juice at a time. Will this work if I'm not starting in the US? Yes. You’ll learn step-by-step how to start your business no matter where you are located. While the course is in English, and most of the examples are in USD, the concepts and principles you’ll learn in Juicing to Profit apply across internationally. It truly comes down to your personal comfort level with carrying over the lessons you learn and applying them in your country. Will I receive a hard copy in the mail? No. This product is 100% digital. The good news is that you won’t have to wait for this course to arrive in the mail. You will get INSTANT ACCESS. You can start your journey within minutes of deciding to buy. 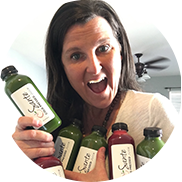 What happens when I purchase the Juicing to Profit Program? After you’ve completed your order, you’ll be able to login with your email and password you’ve created. This is how you’ll access the member’s area. That’s where you will also find all of the content and download the e-book. How long is the course? When will I be able to start my business? The course is completely self-paced. You can go as fast or as slow as you would like. In our experience, with everyone starting from a different background and education level, people go through it at very different speeds. 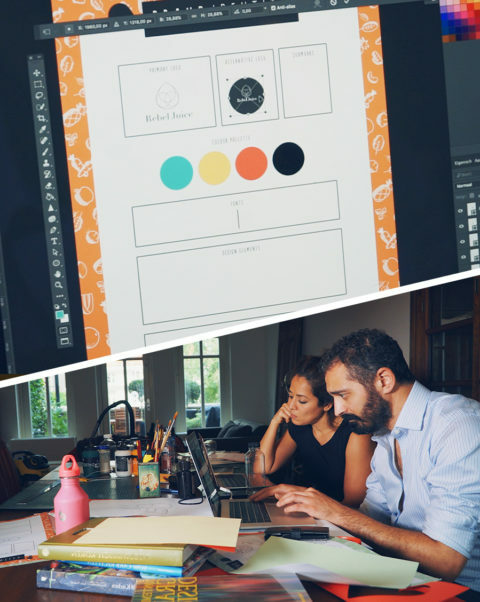 Some go through all of the materials within one week, and others were much more deliberate, stretching it out over the course of several months to get started. The best part is, ANYONE can do this. You don’t need to be a successful entrepreneur; you don’t need any business experience (although this would certainly help); all you need is determination, patience, and belief in yourself. Can I get access to the course all at once, or only in pieces? You’ll receive access to all content instantly when you place your order. This allows you to work through it at your own speed and engage with the material whenever it’s most convenient for you. What exactly does your program cover? Click here for the entire outline of the guidebook. 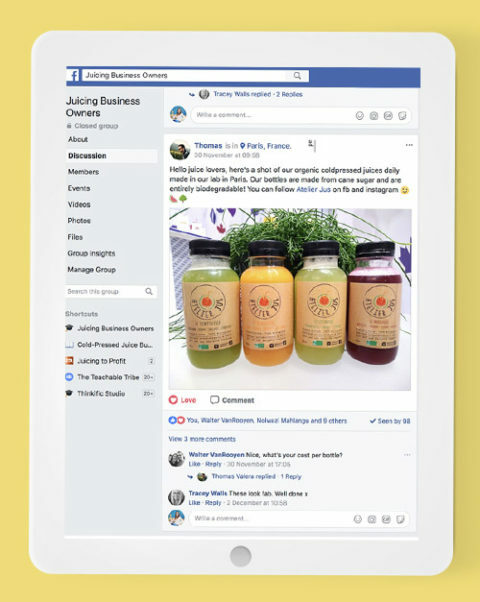 When you become a Juicing to Profit member, you will have access to our private Facebook group we call “Juicing Business Owners”. 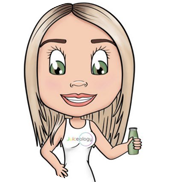 You can directly connect with other juicing business owners and ask any questions you have in the group. I’m confident that, whatever your facing, someone has gone through it already. 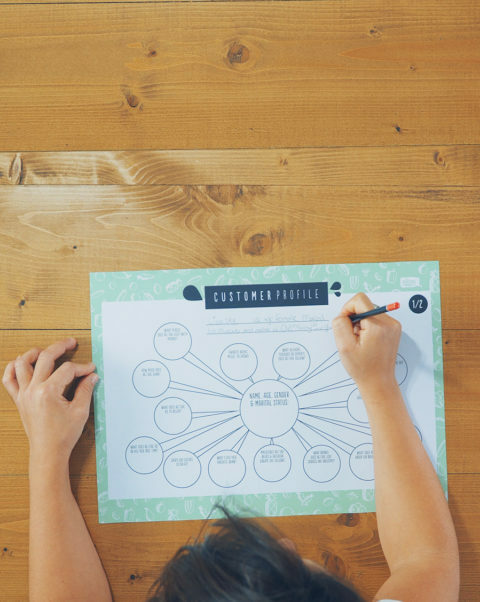 Will taking this course eliminate the need to create a business plan? Yes and no. There’s no substitute for a business plan. But it is highly possible that you will have enough of the foundation of a business plan created already by going through this program. 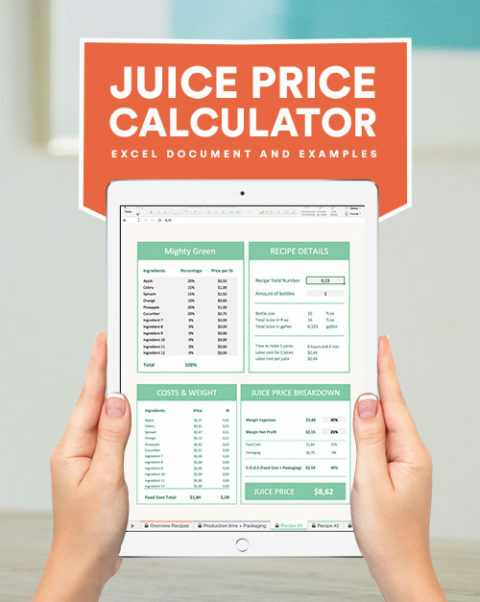 We have several students who’ve reported that Juicing to Profit has saved them hundreds of hours they would have otherwise spent on researching and writing a business plan. You might choose, for any number of reasons, to create a business plan and I will encourage you to do so, but that’s truly up to you. I hope that, after completing the exercises, you’ll feel confident to start this business. No problem. I offer a full 30-day money-back guarantee. If you buy Juicing to Profit today and don’t agree that it’s worth every penny I said it was, I will promptly refund your money. No questions asked. Just send me an email, and I’ll promptly refund your money if it’s within 30 days of your purchase date. We’ll send you a gift voucher that you can forward to the recipient when the time is right. Disclaimer & Explanation: The opinions expressed on Juicingtoprofit.com are published for educational and informational purposes only, and are not intended as a diagnosis, treatment or as a substitute for professional medical advice, diagnosis and treatment. Please consult a physician or other health care professional for your specific health care and/or medical needs or concerns. 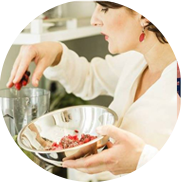 Learn why juicing has many opportunities to impact the world and how you can build a business around it. This Free Course will show you how. 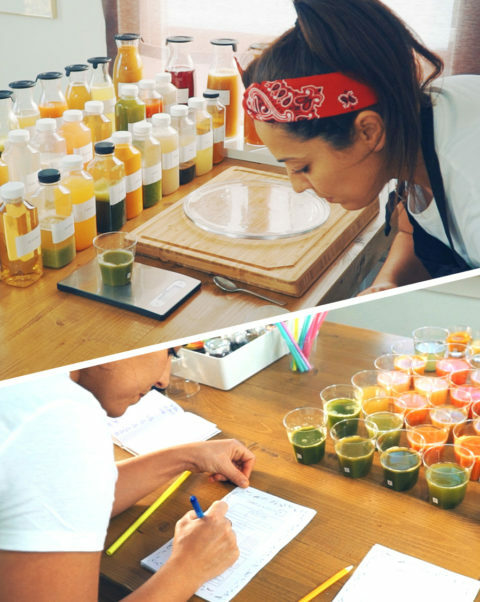 Thinking of your own juice business, but don’t know where to start? Join my free training, that’ll show you how to get that dream out of your head and turn it into an actual plan.